It might mean swapping out fluorescent light bulbs, implementing a flexible work schedule, or providing a dark room where staff can recover from migraine attacks. For years, migraine disease stole time, personal goals, career plans and even Jaime Sanders’ ideal of motherhood. 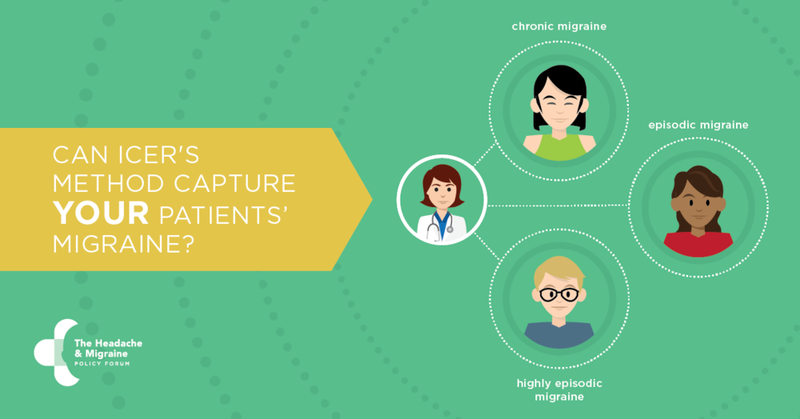 But her condition no longer manages her, she manages it—and she advocates so migraine disease patients can access the innovative medications they need. During the past year, there’s been a clear shift in how patient organizations are engaging with the Institute for Clinical and Economic Review (ICER) and its value assessments of new, and often first-of-their-kind, medicines. Click below to read full paper. 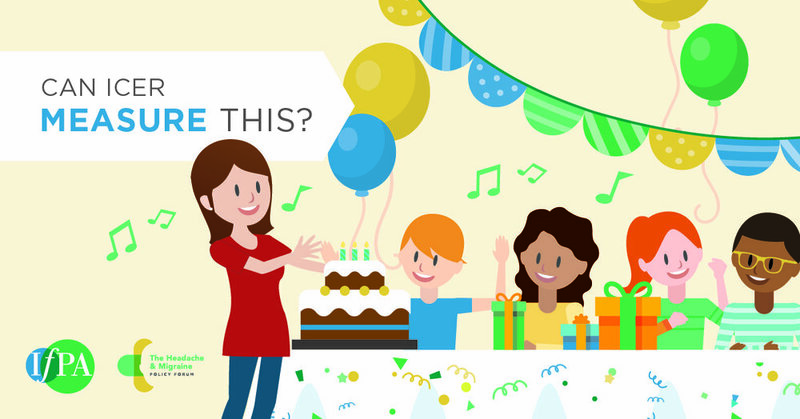 Who Has a Seat at ICER's Table? Add migraine to the long list of battles faced by veterans of the United States Armed Services. 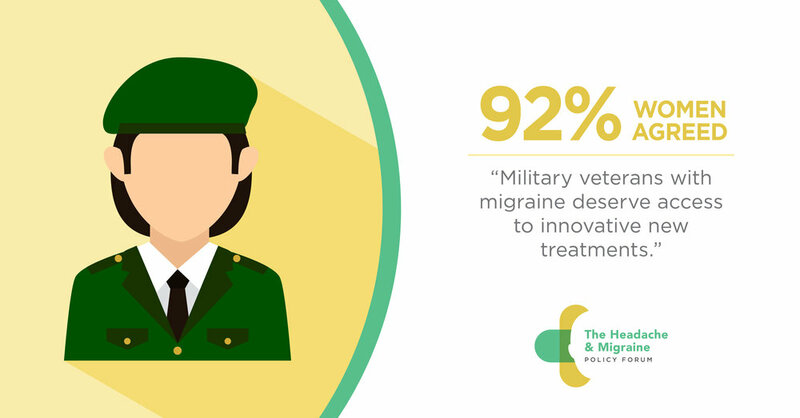 In a Tuesday policy panel sponsored by The Headache and Migraine Policy Forum, experts from across the health care and veterans support spectrum weighed in on how migraine and headache disorders impact veterans – and whether these women and men can access the treatment they need. “These soliders were changed while they were protecting us and our freedoms,” noted Alan Finkel, MD, who treats active-duty soliders at Fort Bragg. Calling affected veterans, “armies of one,” Dr. Finkel alluded to migraine comorbidities such as severe depression, PTSD, sleep disturbances and anxiety. “I am amazed on a daily basis at the breadth of the services that are available and can be made availalbe to our veterans,” noted Donald S. Higgins, MD, the national program director for neurology at the Veterans Health Administration. Dr. Higgins noted that life-changing, cutting-edge therapies are available at the VA system, as are telehealth and teleneurology applications. David Charles, MD, neurologist and chairman of the Alliance for Patient Access, moderated the panel. The Headache & Migraine Policy Forum advances public policies that promote accelerated innovation and improved treatments for headache and migraine sufferers. Its policy forum coincided with more than 225 Capitol Hill meetings as part of the annual Headache on the Hill advocacy day, sponsored by the Alliance for Headache Disorders Advocacy. Headache on the Hill brings health care professionals, migraine advocates and patients to Capitol Hill to raise awareness about the impact of headache and migraine disorders and to seek increased research funding. This marked the event’s 11th year.